Any recipe is only as good as the accuracy of its measured ingredients. Over time, measuring cups tend to get dinged up from the constant beating they take in a kitchen. As insignificant as the bumps and bruises may seem, they may be just enough to throw off the balance of a recipe. 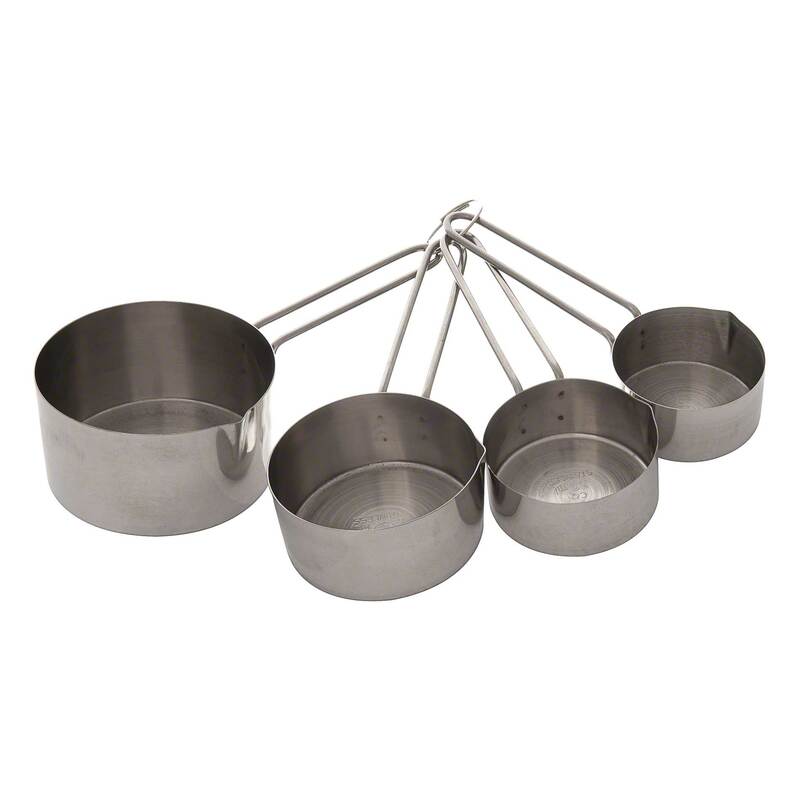 This set of 4 stainless steel measuring cups is meant for heavy-duty use. The set includes cups of 1/4, 1/3, 1/2 and 1-cup capacities.